General Admission pricing includes a four-hour experience, which includes checking in, harnessing, a safety briefing, and three hours climbing. 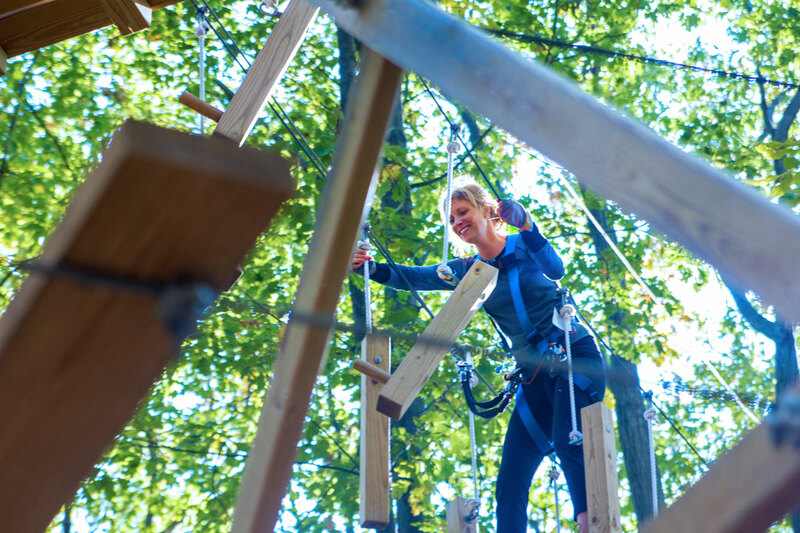 The aerial trails at TreeRunner West Bloomfield are designed to challenge you emotionally and physically. The park provides a controlled environment where guests as young as 5 years old (4 years old in the Junior Park) and climbers of all fitness levels are able to experience the outdoors in a unique, challenging, and exciting atmosphere. Ages 5-6: $1.19 (Each child must be accompanied by a paying adult at a ratio of 1:1. Two purple trails are designated for ages 5-6). Adult supervision is required for ages 13 years and younger. Times: Hours are dependant on the season. Ages: 4-7 years old with a parent chaperone. There is no charge for the parent chaperone. Times: Hours are dependent on the season. 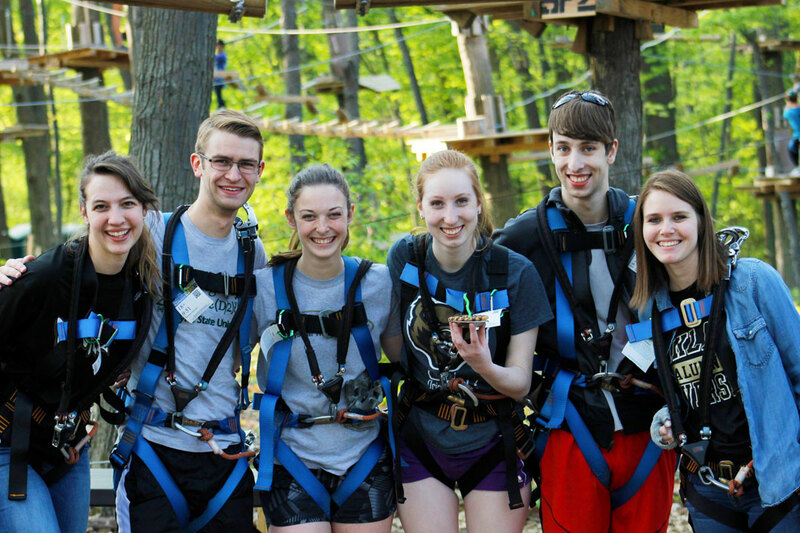 Last call tickets are ideal for guests looking for a shorter climbing experience. Pricing is set for an experience that is less than three hours, which combines checking in, harnessing, a safety briefing, and aerial climbing. Please note that Last Call Climbers will have access to purple, yellow and green trails, but may not have access to our blue and black trails. Ages 5 – 6: $1.19 with a paid accompanying adult, at a ratio of 1:1, and only on the two purple trails. Any person younger than 14 years old must be accompanied by an adult, 18 years or older to be on site. Times: Within the last three hours of park operation. *All tickets are subject to $1.19 service fee. Reservations are required. Simply select the “Book Now” button below, email us at westbloomfield@treerunnerparks.com, or call 248-419-1550 for assistance.